I loved the character of Emily – a young girl who wants to do things most girls of her time aren’t supposed to. And I loved the setting – it was fascinating to ‘see’ the world changing as I turned the pages. This would be a lovely book to read as a family, chapter by chapter each night. Emily doesn’t think she has courage, but she does – the very best kind. It’s a story about bravery and sticking up for what you believe in. It’s a compelling page-turner. I think kids will love this one…I know I did! On Darlene’s website she has a whole section with activities related to the book for teachers and parents. In the story, Emily wants to learn how to bake an apple pie. In those days, baking a perfect pie was an accomplishment all girls were supposed to master. I have very fond memories of many pie-making mornings with my grandmother. And apple was one of my favorites. Young children might enjoy this revised ‘apple crisp’. It’s a snap to make, delicious to eat, and pretty nutritious as well! You will need: For the base: 3 or 4 large apples (a combination of MacIntosh and Empirre works well…but you can use whatever type of apple you have), ¼ cup raisins, ¼ cup sugar, ¼ tsp cinnamon. For the topping: ½ cup sugar, ½ cup flour, ¼ tsp cinnamon, 2 Tb butter (or margarine). Wash and peel the apples…then cut in chunks or slice. Put in a bowl and mix in sugar, cinnamon and raisins. Lightly grease the inside of a baking pan (depending on how many apples – 8×8 inch or 9×12 inch). In another bowl, mix dry topping ingredients. Then add the cold butter and smoosh until butter is well mixed in. Bake in 350 degree oven for approximately 1 hour. Apples should be bubbling and sizzling…topping should be lightly browned. Cool before serving to a child – adults might like it fairly warm, especially if they top it with a scoop of vanilla ice cream. Yum! Kids love to make things. But when you’re busy, it’s not easy to find the time to plan what to do. If you want a quick and easy guide – BOOK SUGGESTIONS, CRAFT PROJECTS, CHILD-FRIENDLY RECIPES, take a look at my activity book, Show Me How! Build Your Child’s Self-Esteem Through Reading, Crafting and Cooking. Just $16 per copy with FREE priority shipping. https://viviankirkfield.com/my-book/ Grab an extra copy because at this price, the book makes a PERFECT gift for any parent or teacher of children ages 2-8…as well as for daycare providers and grandparents. No batteries required…powered by a child’s imagination and a parent’s participation! Sign up for my newsletter for a chance for your local library to receive a copy of Show Me How. Just click on this link to subscribe. http://eepurl.com/8pglH. We’ll be announcing the lucky winners later this month. This entry was posted in Dessert recipe, Perfect Picture Book Friday and tagged Apple crisp recipe, Courage, Darlene Beck Jacobson, Middle Grade book review, Racial intolerance, Social change 1908, Wheels of Change by viviankirkfield. Bookmark the permalink. I am so pleased that you enjoyed WHEELS OF CHANGE. Thanks for writing such a lovely review, and for featuring the book on your blog. 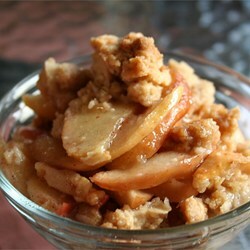 Love the apple crisp recipe! You wrote a really engaging story, Darlene…I was happy to feature the book and will make sure I add reviews on Amazon and Goodreads by tonight! Sounds like one my kids and I would have enjoyed reading together, and an excellent addition to a middle school history classroom! Sounds like a great read. Off to the library this weekend so putting this and a couple of others you mention on my to find list. A great choice with the tension across the country. Love historical fiction. Great activities. 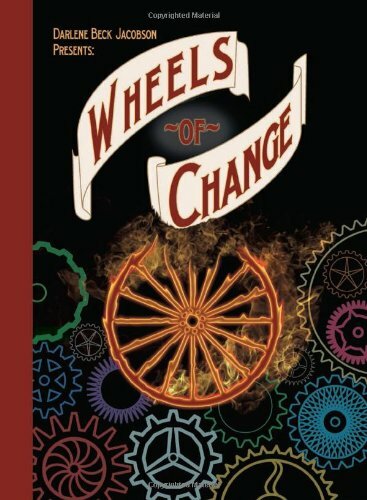 I have read WHEELS OF CHANGE, Vivian, and it is an excellent read. Last week while we were in Kansas, at the elementary school 5th graders gave “readings” from their favorite books, and two girls chose different passages and took turns presenting them. It was very well done, and what a good promotion for others to also read the book. I had no idea Marilyn! Thanks so much for sharing that! What school is it? I’d love to send the students some bookmarks as a token of appreciation. Sounds like a good read! My son is fast approaching the age where he will be old enough to read chapter books so I’m always on the look out for good ones. Thanks! Thanks for stopping by Sue. Maybe once you’ve read it Jilanne he’ll be more willing to give it a try. There’s an watermelon seed spitting contest scene that many boys find irresistible..
Trasfiere música, videos e imágenes desde tu computadora.